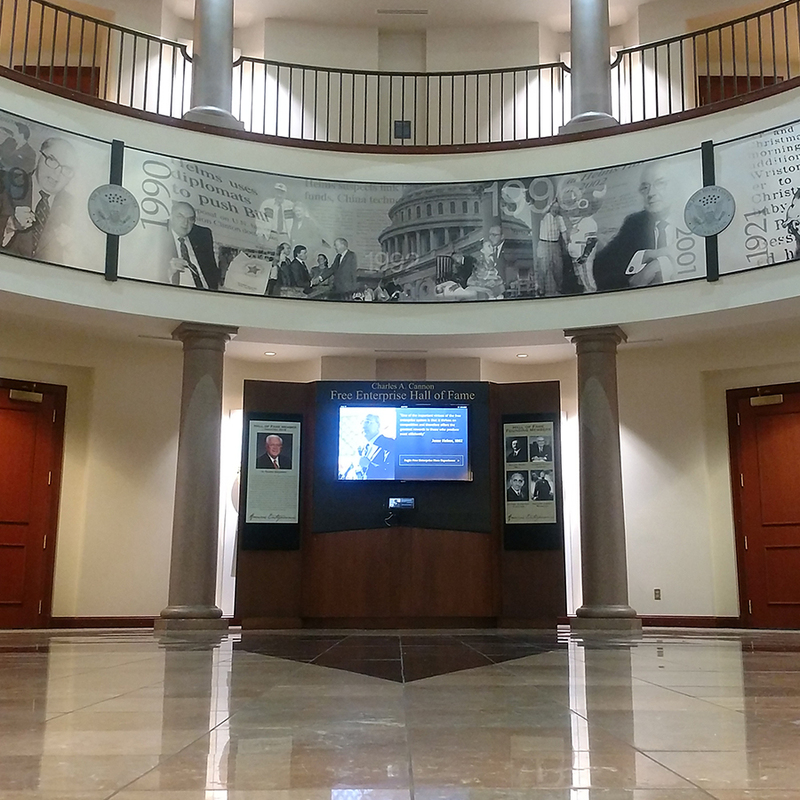 The Jesse Helms Center offers other great learning opportunities and resources. These resources will go hand in hand with the things learned in the Free Enterprise Now program. Click here to receive your complimentary Free Enterprise Now® educational posters. You can use these posters in your classroom to challenge students to learn why our free enterprise system is the greatest system in the world. Since 2005 high school students from all over join together at the FELC camps to learn about the free enterprise system, entrepreneurship, and the value of hard work. Students leave having experienced what it is like to be an entrepreneur as well as developed leadership skills. The students learn through hands-on interactive activities and assignments. Dan Quiggle, founder of the Quiggle Group and host of Garage to Goliath podcast, discusses the importance of ethical leadership in this video series. Quiggle offers suggestions on how to be an ethical and moral leader in the world of entrepreneurship. To keep up to date on the latest news and announcements like us on Facebook. Click here to follows us on Facebook and for the latest news and updates. Many free enterprise heroes have made a difference in the past as well as the present. They raise families, run successful businesses, serve diligently on boards, and give back to their community through their time and resources. Their entrepreneurship and hard-working attitudes are living testimony’s of the American Dream. The Charles A. Cannon Free Enterprise Hall of Fame features some of these free enterprise heroes.